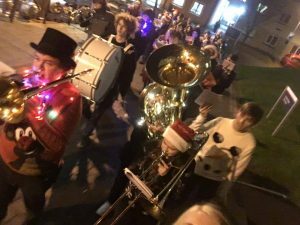 Christmas began for ULMS with the Carols in the Castle event hosted by the Christian Union with the music provided by the Brass Band along with vocals from a variety of choirs including ULMS Chamber Choir, Gospel Choir, Pentecostal Gospel Choir, LUSing and Barbie Shop. 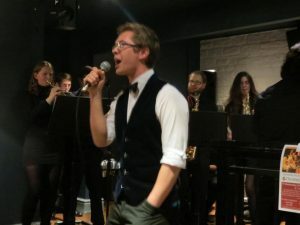 With everyone getting into the Christmas spirit, the first of the two Christmas concerts was Jingle Bell Jazz at Apothecary with Big Band, Swing Group and Jazz Combo. The night was a success and enjoyed by all. 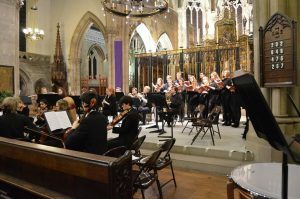 Following on from this success was the traditional Christmas Concert at Lancaster Cathedral. With a huge audience, everyone was entertained by the Brass Band, Choir, Wind Band, String Orchestra and Symphony Orchestra. The evening concluded with Christmas carols and of course there were mince pies available in the interval! To conclude Christmas within ULMS, the caroling bar crawl was a nice way to end the term. 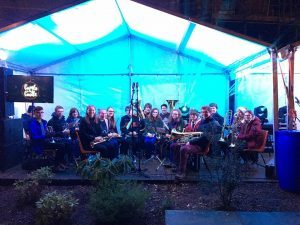 With the Brass Band playing Christmas carols and other members of the society singing along, much fun was had by all who got involved. And with Christmas over for another year, the society moves forward into 2017 will plenty more to offer in the upcoming months. Plenty more concerts and socials will be organized over the next two terms for everyone to enjoy!